Drivers Ed Course Online to earn Your Learner's Permit or Driver's License! Enroll Drivers Education Course if you turn 15 years. 100% Online and approved by the state DMV. Every aspiration is now more achievable! Get ready to earn your driver's license with Drivers Ed online course! Get Your Indiana Driving Permit The Easy Way! Take the next step towards getting your Indiana driving permit by enrolling in online teen drivers ed course. Indiana Drivers Education course is designed to teach you everything there is to know about driving in Indiana, and therefore making you more confident once you're the one behind the wheel. There is no easier way to prepare yourself for the road ahead. Indiana Learners Permit – Sign up for our online Indiana drivers ed course and get your permit when you turn 15. Get Free Delivery &amp; DMV Practice Tests. Limited Offer! DMV Authorized Course. Indiana drivers permit course is state-approved by the Criminal Justice Institute. 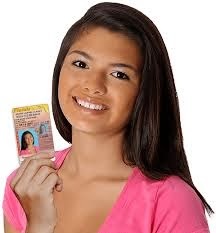 It fulfills all training requirements for obtaining your Indiana learners permit. After enrolling in drivers ed Indiana online course, as well as behind the wheel training, you will be able to get your permit and start learning how to drive. Indiana driver ed consists of eight easy units; each complete with text and animations to make it easier to absorb the information. Short quizzes after each unit help prepare you for the final exam at the end of the Indiana drivers ed course. You will be asked to pass the final exam with 80% or higher, but we allow you to retake it if necessary. Once you have finished the Indiana drivers education course, you will receive a certificate stating that you have completed online drivers ed. We give you the option of at-home delivery, e-mail delivery, or downloading your certificate. Getting Your Driver's License Permit is as easy as 1-2-3! • Enroll Drivers Ed Online, Complete the Course, Pass the Final Exam & Get Ready for your Learner's Permit. - It's Fast, Easy & Convenient. • State-approved Driver's Ed course (teens & adults) satisfies every requirement. Enroll Today! to get your Learner's Permit or Driver's License to get behind the wheel fast!. ► Get your Learner's Permit... Fast! Online Drivers Ed - Get Started Today! Driver Ed Course has NEVER been easier! Take Driver's Education Course Online to obtain your learners permit and drivers license. Study on your own schedule, and complete the course at your own pace. _________________________________ The key to get your driving permit! Get ready to earn your Driver's License with State Approved Online Drivers Ed Course! State law requires every Teenager & Adult driver's license applicant to enroll and complete an approved Driver's Education Online Course to obtain their first learner's permit and driver's license. Copyright ©2019 The Our Teen Driver Foundation. All Rights Reserved. Powered by Blogger.